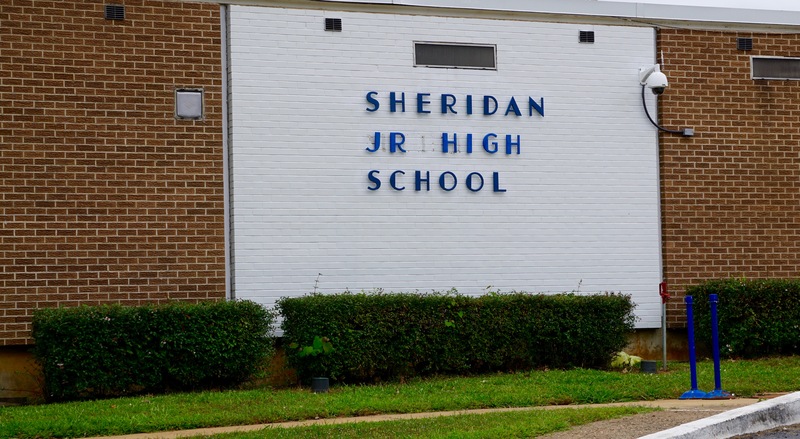 During the 2016-17 school year, all seventh grade students at Sheridan Junior High School will receive a Chromebook laptop to use for their studies. Sheridan School District will purchase laptops for these students through a $163,000 grant it recently received from the enhancing Missouri’s Instructional Networked Teaching Strategies (eMINTS) National Center at the University of Missouri College of Education. “We applied for this grant, because the funds and training resources will help increase our district's capacity to provide high-quality professional learning to our staff, which will in turn, help us integrate more technology into curriculum for our students,” said Bridget Chitwood, assistant superintendent of curriculum. Sheridan was one of six districts in Arkansas selected to receive an eMINTS grant for the 2016-17 school year. The other districts receiving grants include Pea Ridge, Prairie Grove, Decatur, Huntsville and Alpena. The eMINTS National Center is providing this funding to districts through a $12.3 million Investing in Innovation (i3) grant from the U.S. Department of Education and more than $3 million in matching gifts. According to a press release from the University of Missouri, the eMINTS National Center was awarded the funding to study the effectiveness of integrating teacher instruction with certain technologies while simultaneously exploring strategies to expand the program throughout the U.S. In all, the i3 project will serve 56 schools in high-needs districts in Alabama, Utah and Arkansas. The project will involve nearly 450 teachers and more than 24,000 students over five years. Project partners include Granite Public Schools (Utah mentor school), American Institutes for Research (evaluator), Springdale Public Schools (Arkansas mentor school), and Baldwin County Public Schools (Alabama mentor school).